"Summer Home" is one of those rare tracks that has been recorded twice (I think three times actually). It is one of my favorite Rain Station tracks. As the story goes...In the summer of 1992, Hoagie Malone (Jay Moores) began coaxing musicians for his recording project "Equator". These sessions produced 33 tracks. Originally released as "Khaki Circus" by Equator, Hoagie felt that the recordings between he and mopehead (Mark Harvey) were going particularly well, so when mixing time came, the 33 tracks became two separate releases. 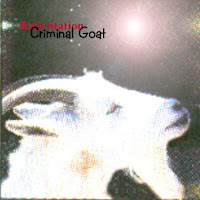 Rain Station was born with the release "Criminal Goat" and Hoagie released the rest as "Equator". "Summer Home" was one of the tracks on "Criminal Goat". Jay recorded drum tracks in his large Mission Street house. I'd come over and record guitar tracks to his tracks and then he'd flesh out the rest. On the original "Criminal Goat" version of "Summer Home" the bass track was played by Jay's buddy Dave Mintim. I moved out to the Sunset (from the Peninsula) and after a few roommates came and left I convinced Jay to move out of the Mission and out towards the ocean. The place we lived in was fairly large and allowed for setting up and playing (as a band). Tony Iuppa (my buddy who played bass in The Screaming Paisleys) joined us as did a friend from work, Brian Peet (on drums - pictured left). 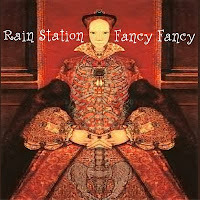 Rain Station (the band) was formed and we recorded a three song demo to shop around for gigs. Jay and I also named our home in the Sunset The Rain Station. So...here you'll find the FREE MP3 downloads of "Summer Home". So this "Criminal Goat" entry comes with the bonus "Fancy Fancy" version. Enjoy the FREE tracks and please drop me a comment.